Confetti Carnival Preview - A weird but very original physics puzzle game. 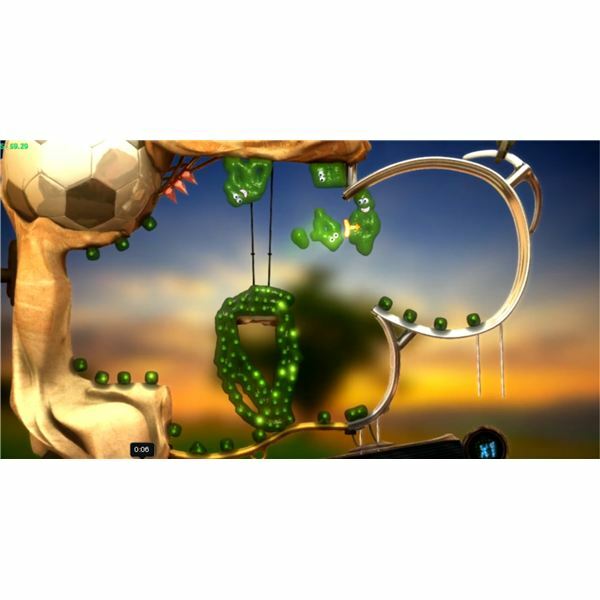 This special puzzle game might be the new success of the year. Basically, in Confetti Carnival, you control some sort of coloured blobs made from goo and you click on them to send them fly into the level. In each level, there's a set of bomb and your objective is to make them explode. In fact, the bombs can only be detonated by the blob's blood. If you follow me at this point, you probably understand that the blob needs to explode in ''confettis'' to be able to detonate the bomb. That's a pretty interesting concept but described like this, it can be difficult to visualize. Keep on reading. them all at once when your blob explodes. To explode, your blob must hit an object in the level. With that comes the challenge to find the right spot to smash your blob. Another particularity is that a blue bomb, for example, can only be detonated by blue goo. Sometimes in the levels, some specific colours are blocking a line of another colour. The player needs to develop his strategy in each level in order to detonate his blob at the right place, at the right time and in the right order. Don't worry for the lives of the blobs, they seem very happy to explode. The game is made in a funny cartoonish way where every blob smile as they explode and spat on impact. In addition to that, you unlock a new mechanic or a new ability after you complete each level, giving you the desire to complete this very hard level to find out what you unlocked. But there's more than that! You can also do blob stunts! There is an immense variety of stunts that you can execute. For example, a simple stunt would be to redirect your blob trajectory while it's in the air or slice the blob to create a sub-blob that will allow you to detonate two bombs at once. Then, on the press of a button, you can reverse motion. In this case, a blob flying into the air would come crashing down on the ground. Each specific stunt has his own original name. This reverse motion stunt is called a U-Turn. 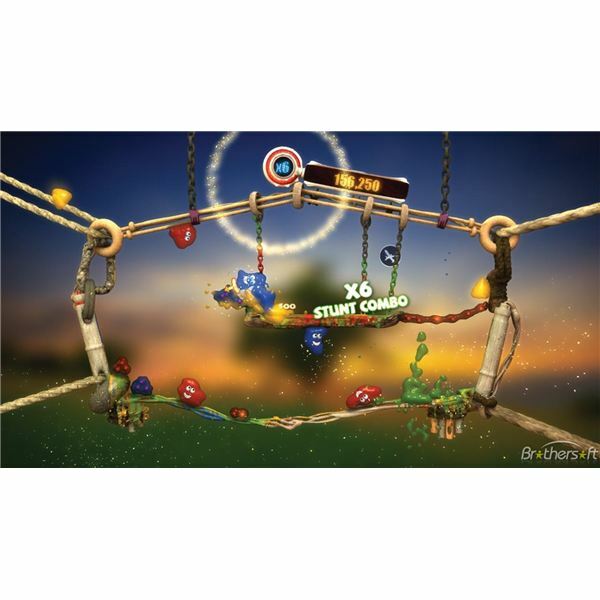 As you complete levels and unlock more abilities, the game push you to try more stunts and to combine them into combos in spectacular and very fun ways. An Air Slam is executed when you touch a bomb without having touched the ground before and a Slide is realized when you arc your blob around a slippery surface without error. Sometimes, you just don't care that much about the bombs and try to direct your smiling blob to make longer and more spectacular combos. Confetti Carnival looks like a very promising and original game. It seems the game will be very re-playable, as you can complete the objectives with a huge variety stunts and strategies. With blobs flying and exploding everywhere on your screen, there's never a dull moment. 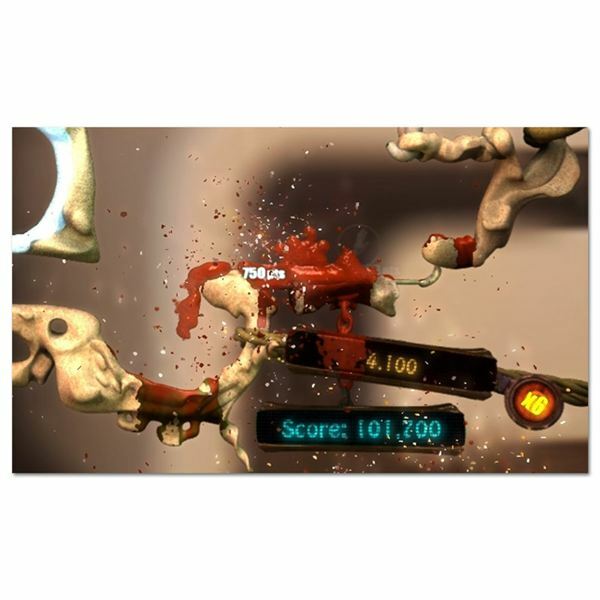 At the moment, no release platforms have been confirmed, but Spiky Games, the developers of the game, aim to have Confetti Carnival out and rocking sometime in Spring 2011.